With more than 200 colors and patterns available, you're sure to find an awning fabric to complement your home.Visit the Sunbrella Fabric Showroom to see the current selection. 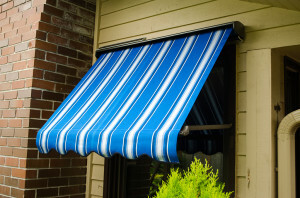 Learn more about the Sunbrella fabric used in Rainier Awnings. Download Sunbrella Care and Cleaning Instructions.